When Are Beneficiaries in Florida Liable for Inheritance Tax | DeLoach, Hofstra & Cavonis, P.A. Do Florida Beneficiaries Have to Pay Taxes on Inheritances? There are a few states that levy taxes on the estate of the deceased, generally referred to as an inheritance tax or the death tax. 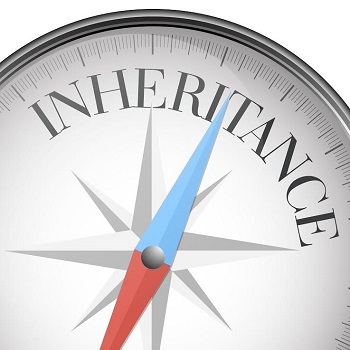 The good news is Florida does not have a separate state inheritance tax. Even further, heirs and beneficiaries in Florida do not pay income tax on any monies received from an estate because inherited property does not count as income for income tax purposes. However, there are some tax rules that you should be aware. As mentioned, Florida does not have a separate inheritance tax. The federal government, however, imposes an estate tax that applies to residents of all states. The federal estate tax only applies if the value of the estate exceeds $11.2 million (2018), and the tax that's incurred is paid out of the estate/trust rather than by the beneficiaries. With the estate tax level so high, very few people/estates need to worry about the federal estate tax. Florida residents who inherit property from someone who lives in a state which levies an inheritance tax may be responsible for payment. However, depending on the tax laws of the state where the deceased lived, you may not be taxed if you're the deceased’s spouse or if you received a relatively small inheritance. As of 2018, states that impose inheritance tax include Minnesota, Pennsylvania, New Jersey, Nebraska, Maryland, and Iowa. Withdrawing funds from retirement accounts. While taxes don't apply to the inheritance or transfer of an IRA, 401K, or other investment account, income taxes can be levied when the monies from these accounts are withdrawn. The theory is that since the deceased person would have been liable for taxation on withdrawal, the inheritor is also liable for those taxes. In addition, benefits received from some pension plans and investment accounts may be taxable. It's a good idea to speak with an attorney or accountant before you draw any money out of these types of accounts. Receiving income from the estate. If you received a property that generates income, there may be tax on the income received before the property is transferred. For example, if the deceased owned an apartment building and the tenants paid rent to the beneficiaries during the probate period, then the heirs or beneficiaries may have to pay taxes on those rental income. The inheritance itself is not income. While the estate may earn income during the settlement timeframe, the receipt of the inheritance is not taxed to you. For instance, mom leaves you $20,000 in life insurance. The $20,000 is not taxable income to you. If, however, the life insurance had income before it was distributed out, the income on the policy would be taxed to the beneficiary. Any income is likely minimal if a policy is claimed quickly. Selling inherited assets. As mentioned, income taxes don't apply to property received directly from the estate. However, if you sell property that you inherited, the funds you receive may be subject to federal income tax. For example, if you inherit a home or plot of land and choose to sell it instead or keep it for personal use, you may have to pay income tax on the property at the time of sale. The income tax would only be based upon the gain in the property's value from the date of the decedent's death. Inheriting from a non-U.S. citizen. There may be tax complications if the deceased person is not a United States citizen, or if one of the beneficiaries is not a United States citizen. If a person is not a permanent resident of the United States but owns property in Florida, the property may be taxed upon death—and spouses who are non-citizens may not be able to inherit tax-free. Many people confuse the probate process with the federal estate tax. When someone dies with assets in their own, individual name, the probate process is used to settle the decedent's estate by paying any remaining bills and distributing assets to the heirs. If you want to learn more about the probate process, please feel free to download our free guide to the Florida Probate.